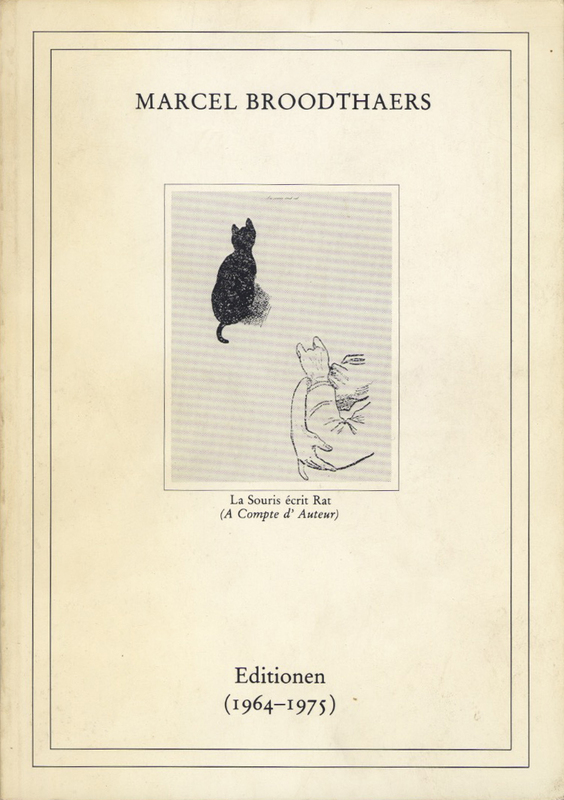 A modest publication with complete checklist of Broodthaers' editions, and reproductions of each. A good scholarly handbook. München: Edition der Galerie Heiner Friedrich, 1978. Illustrated, n.p., French, German, and English.